Encyclopedia of BabyNames. Baby names for the new born kids. 2. This website is an ideal one for all would-be parents and also for all those in search of meanings for names. 3. This website is interactive. A TO Z Pages contain names starting with respective alphabets. FILMSTARS is a detailed list of film personalities past and present, from Hollywood to Bollywood; from Charlie Chaplin to Leonardo Di Caprio; from Prithviraj Kapoor to Amitabh Bachan to Amir Khan; from Madhubala to Hemamalini to Rani Mukherjee. TWINS leads you to a list of baby names for twins, triplets, quadruplets, quintuplets etc. THESAURUS lists meanings for which you search. CRICKET, TENNIS AND BASKETBALL take you to the personalities of the respective sports. PREGNANCY BOOKS is for the would-be parents. CONTRIBUTORS are all of you who have been generously contributing new names to our site. MISSING CHILDREN is dedicated to the missing ones and provides links to the "MISSING CHILDREN" websites. FEEDBACK is most welcome and this is what we look forward to from you. NAMESBOOKS is a selective list of BABYNAME books. 1. Check if the name you want to suggest already exists. 2. Names of the Contributors/Visitors are listed in a separate page. 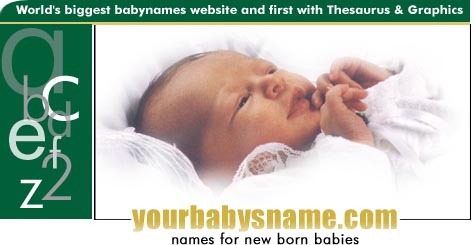 Contributors are those who have contributed atleast 1 name to Babynames website. Contributors of new names, should give their full address including Country name, E-mail addressess and website if any. 3. 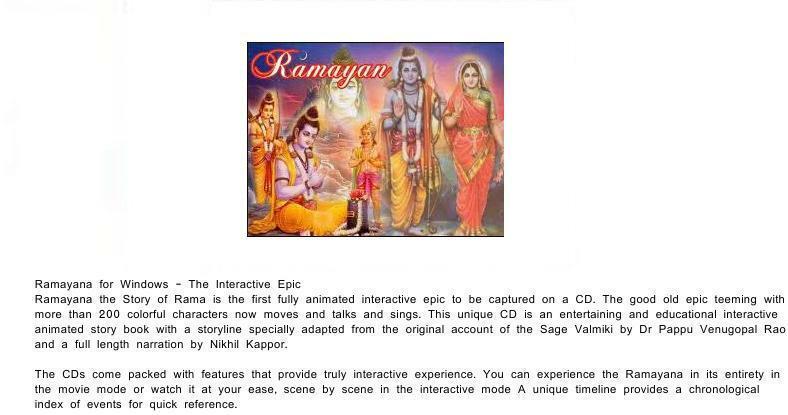 Your feedback is most welcome. 4. Babynames team invites you to suggest missing names with meanings or additional meanings for the already existing ones. 5. Mention the name you want to suggest under subject of your mail. Put the meaning of the name in the body. Also mention your full address, mail, city, country in the body. 6. Send one mail for one name.